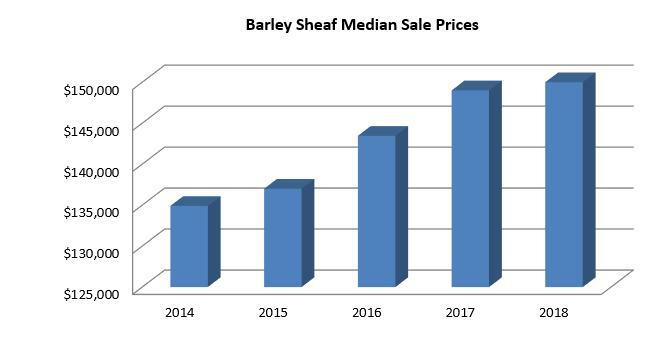 The information below will get you started with an understanding of price trends, number of homes sold and market time in Barley Sheaf. For a meaningful interpretation of the data that can save you time and money, please contact me at your convenience. 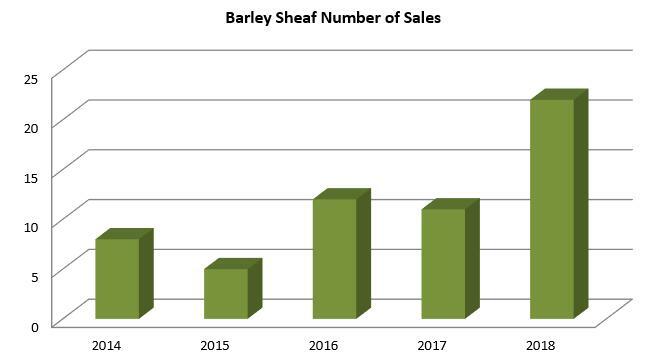 It's my pleasure to assist you in the sale or purchase of your Barley Sheaf home. Contact me to get started today! Prices of properties sold are increasing slightly. 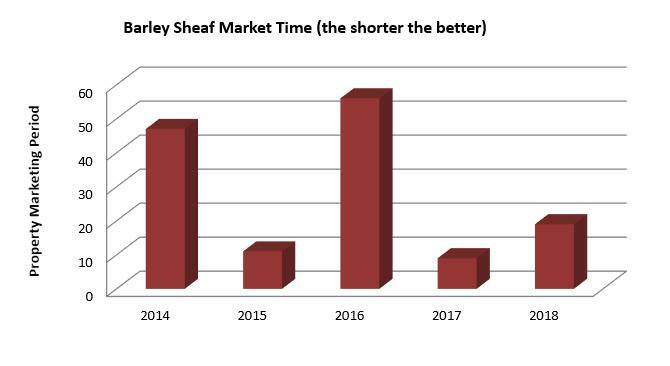 Now could be the perfect time to sell your Barley Sheaf property! Contact me for more information or to get started. Twice as many homes sold in 2018 as compared to 2017. A balanced market has a six-month supply of inventory. Less than six months indicates a sellers' market. More than six months indicates a buyers' market. Information Deemed Reliable But Not Guaranteed. "Sold" information from Trend Multiple Listing Service for the period indicated. Data maintained by Trend may not reflect all real estate activity in the market.